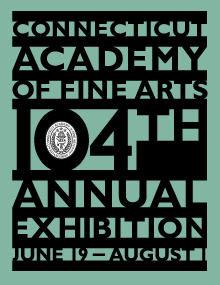 The Connecticut Academy of Fine Arts (CAFA) presents its 104th annual juried exhibition of works in all media, including painting, photography, sculpture and graphic arts. CAFA is a non-profit arts organization established in 1910 by a group of renowned Connecticut artists. CAFA’s mission is to encourage excellence in the arts and provide a forum to advance the efforts of accomplished artists.